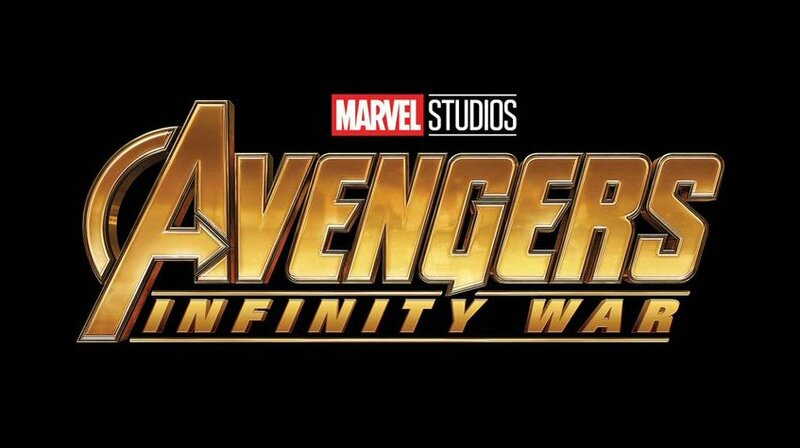 Avengers: Infinity War (2018) will be hitting the screen about 14 months from now. Guardians of the Galaxy, Vol.2 (2017) is around the bend (two months from now). While Thor: Ragnorok (2017) is just eight months away. What future Marvel adaptation are you most looking forward to? Have the films in this infinite franchise been overwhelming? Underwhelming? Invisible to you? Etc...? I was never into comics and so never paid much attention to movies that are based on comics. I've been thinking about watching Guardians of the Galaxy on TV though, and then seeing the sequel when it comes out in a few months. So far the only channels that are presently showing it, have put commercials in the middle of it and have "edited it for content" (I've only been looking for a month or two). I'm hoping that when it gets closer to the sequel being released, someone like HBO will move it back into their lineup so I can watch an unblemished version. Unfortunately the rest of these movies are probably going to be invisible to me. Not their fault though. I've just never been into comics. Rocket really likes guns if that helps. I've already decided to try to see the movie, so it probably won't make much difference. I hope that any references to real firearms are accurate though. I recently watched Unforgiven, and was dumbfounded at the mention of .30-30 shells in a movie set in a period of black powder weapons (it was near the end when they were organizing a posse to chase the lead character, just before he burst in and shot them all). That thing actually won an Oscar when it was so inaccurate? Oops. I just went back to double check (luckily the movie is still sitting in my satellite box's hard drive), and the mention of .30/30 shells comes earlier, when they were organizing a posse just after the first cowboy was killed (moments before the scene when someone threw a stone through the prostitutes' window). I got my posse rallies confused. You would probably like "the Punisher" comics. Lots and lots of guns and violence while keeping it "real". Since I haven't been seeing any quality reruns of Guardians of the Galaxy on satellite yet, and time is sort of running out, I just signed up to "3d-blurayrental" (that's really their name) for a service much like the original Netflix where you watch a movie and then mail it back to get the next movie on your list. I'll probably get the disc in the mail in a few days. I picked it for my first movie. This illustrates why I think Guardians of the Galaxy is the best Marvel film, so far. What is your favorite film from the Marvel Extended Universe? Thor: Ragnorok is going to be amazing! I think I'm going to go see it. I liked Guardians of the Galaxy 1+2 and Doctor Strange. Plus I want to test out a local 70 foot liemax to see if it will be a good place for me to see Star Wars 8, or if that's just too much screen for 2K projectors. Going to try to rent the first two Thor movies before it comes out in theaters. Hopefully I don't need to know any backstory on the Avengers and my meager knowledge of the Hulk (scientist exposed to gamma radiation, now turns into an oversized green orc whenever he gets excited) will be enough background to get me by without having seen most of the previous Marvel movies. "Digital Intermediate (2K) (master format)"
So it seems clear that Thor: Ragnarok will be a 2K movie. This means that no one who sees it in a liemax theater should feel shortchanged. It'll be 2K no matter what projectors are used. Also, there is no reason to choose 2D over 3D like with the movies where the 2D showings are 4K (unless you really really want to see that Star Wars trailer in 4K). Still no reviews on the quality of the 3D yet. 3D reviews are in. The 3D is worthwhile. Although it should be noted that this movie will be in the 1.9 liemax aspect ratio. The first movie to be be made entirely in the 1.43 aspect ratio of true IMAX still lies in the future. Still, it's a bit of a milestone. Trailer was released 23 hours ago and already has more than 40 million views. Unofficial of course. Just some YouTuber being creative. I suggest that his video get a thumbs up on YouTube. IMAX with Laser offers dramatically higher contrast than normal projectors. This means dark scenes where shadows wash out most details with normal projectors will show lots of detail when projected with Laser IMAX. Also, extremely bright things (like the green beams shooting out of the Death Star) can be shown much more intensely. The picture will also expand up to the full 1.9 aspect ratio that the movie was filmed at because it is an IMAX theater. Dolby Cinema has very high contrast just like Laser IMAX does, with the same outstanding advantages for bright colors and darker scenes. Also, these theaters incorporate Dolby Atmos sound systems. These computerized surround sound systems can make sounds appear to come from any point in or around the theater (and make the apparent position of the sounds move throughout the theater to match the action on the screen). There are some disadvantages though. Since it is not IMAX, the taller aspect ratio will not be displayed. The movie will be confined to the normal theater aspect ratio. Also, while Dolby Cinema is capable of 3D, they almost always choose to produce only 2D versions of a movie. Still, these theaters will be far superior to everything other than a Laser IMAX. You can get the most up-to-date information (for the US at least) here, but getting it is slightly less straightforward. While no comparison to options #1 and #2 above, the dual IMAX projectors of a liemax theater will do 3D better than any theater besides that. Plus you get the full 1.9 aspect ratio that the movie was filmed at. These recommendations were written with the assumption that this movie will not be produced in 4K. I've had to guess because Marvel is keeping this information secret. If I receive last minute information that I guessed wrong, I'll revise the recommendations and post an update. Before there were comic book based movie franchises like we have today, I eagerly looked forward to it. But I rarely watch any of them to the end, now that they are extant.. I guessed correctly. 2K only. So my above recommendation needs no modification.